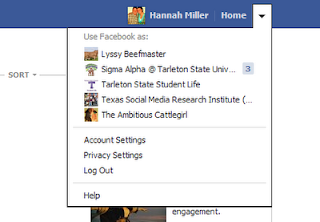 Welcome to Tarleton Tip Thursday, where every week we give you tips to help you harness the power of social media. 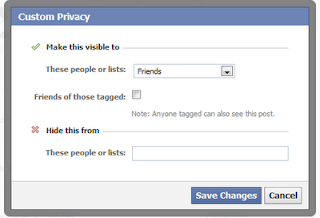 Here's how to make sure only your friends can see your photos on Facebook. 2. Click the drop down arrow on the top right hand side of the screen. 3. Click on "Privacy Settings." 5. A pop up box will appear. Under “These people or lists” choose “friends." Make sure to un-check the box saying “friends of those tagged”. You can also use this box to hide pictures from a specific person. Now only your friends that you have added can see your photos. Previously, anyone who was friends with your friend could view your photos. 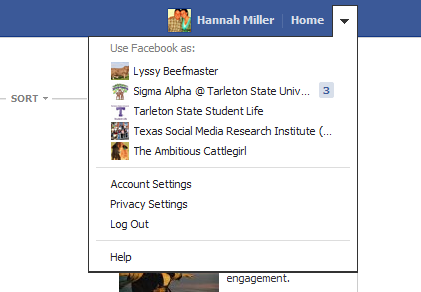 Hannah Miller is a Social Media Committee Intern with the Texas Social Media Research Institute. You can find her on Twitter as @ambitiouscattle.